Becky is a native Iowan, and proud to be a Baby Boomer! As the oldest of six children, her life growing up was comparable to the sitcoms of the 1950s and 60s – except her mother never wore a dress and pearls. Becky was also the perpetual “new girl,” achieving a record of never going to one school two years in a row until her senior year in high school. Because of that, she has friends all over the state of Iowa. Married to her high school sweetheart, Becky graduated from Iowa State University, became mom to two daughters, and was set to live happily ever after. Fate had other plans temporarily as she and her daughters suffered the sudden and unexpected death of her husband. But life has a way of evening things out, and with the help of two special angels in heaven and her family here on Earth, Becky began a short but very interesting journey the summer one of her daughters put her on an electronic dating site. The result was a book about “old” people dating. And a new husband! Most of Becky’s adult life was spent in the administrative side of education. 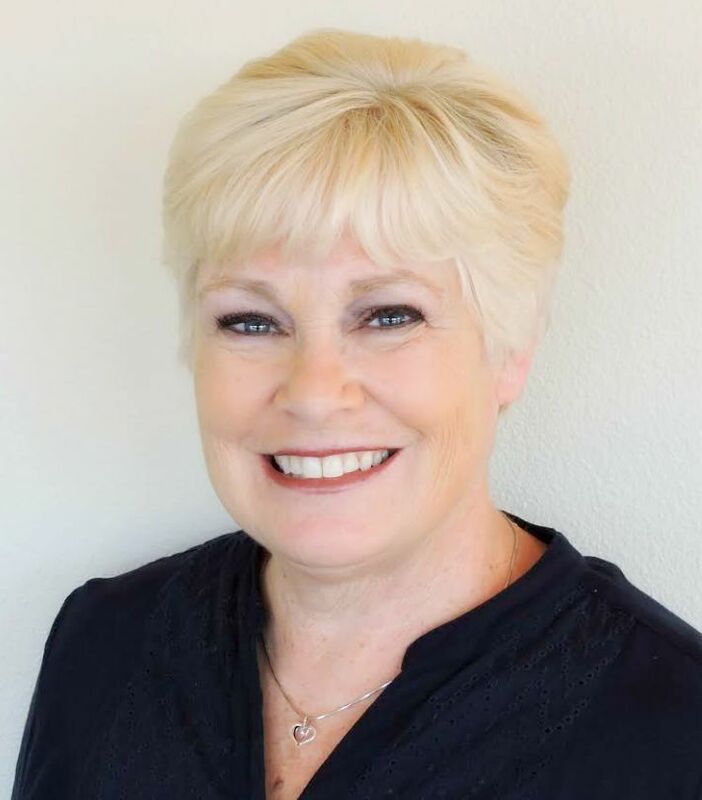 She retired from a small liberal arts college after having served as the academic dean’s secretary and as secretary to 20 faculty in the department of sciences. During her career, she had several opportunities to write and enjoyed the comments and compliment she would receive when she wrote articles tongue-in-cheek. That prompted the genre for her first book. When one is not looking to date, has little to no computer technology education other than the employer’s IT phone number for help when needed, and is under the delusion that the rules and the “boys” in today’s dating world are the same as they were when she was sixteen years old, getting out of a very comfortable non-dating zone and entering the world of cyber-dating can be really daunting. Add to that a number of unusual dates with equally strange possible suitors, and truth-is-stranger-than-fiction arrives and totally changes my world. 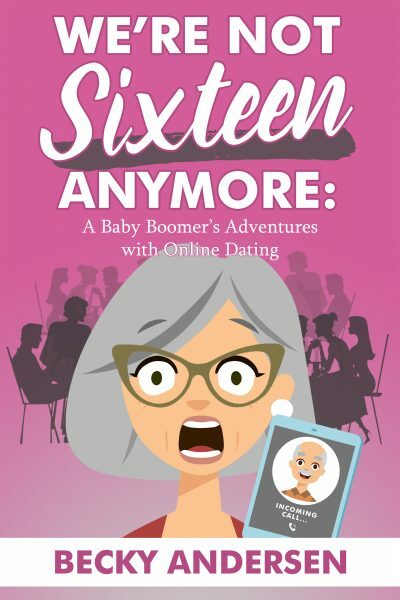 I wrote “We’re Not Sixteen Anymore – A Baby Boomer’s Adventures with Online Dating” for two reasons: Facebook friends encouraged me to write more than the snippets of posts on Facebook I’d done of my dates; and because I was newly retired and thought I had the time. It was the one thing on my very tiny bucket list, but I almost didn’t complete the book because I was fearful that I wouldn’t be able to convey the humor that I had found when looking back on my various dates. Humor is so very important to me. I got through a tough time in my life – sudden death – because I’d been raised with humor. I think people, especially people in my age bracket(s), deserve to laugh at life once in a while, and a light-hearted book might be appreciated – especially given the tragic headlines that can be found daily in newspapers everywhere “Not Sixteen Anymore” is an easy read and I wrote it hoping the readers would consider it pure entertainment. Writing a book has been an education, one I’m learning more about every day. I can’t tell you how many trees must have given their lives in the name of becoming paper, only to end up in my recycling bin, because I re-read a chapter and imagined my English teachers cringing at my grammatical assaults. Then when the BQB editors submitted corrections, it was my turn to be horrified at how much I’d forgotten. So on behalf of newbie authors everywhere, a special shout-out to all the behind-the-scenes people at BQB for their help, patience and education. Thanks!! !